Horse racing is one of the most exciting and popular betting games in the world today. How do you win a horse bet? The answer is more complex than you might imagine. Winning at horse racing involves picking horses that you have evaluated for racing potential. There are also many different ways to bet the horses you have picked. Many people believe that choosing the horse that finishes first in a race is the only way to win a horse bet but this is not true. Here are a few things you should know. In order to win a horse racing bet you must have all three elements. You are the bettor, and you choose a horse to bet on. Then you must place the bet in some fashion. When you bet on horses it helps to remember that you are competing with other horse racing bettors. Racing is considered to be parimutuel betting. The word parimutuel actually means “betting among ourselves.” The money that all bettors wager is placed into a pool. The winners are paid from that betting pool and the losers take home nothing. So, how do you win a horse bet? You win it by being smarter than your fellow bettors. You must be able to identify winning horses that other bettors have overlooked. The more bettors that overlook the horse you have selected, the higher the odds will be and the more money you will make when your horse wins. You also win horse racing bets by choosing the right type of bet to make. Horse race betting is somewhat unique when compared to other forms of sports wagering. In most types of sports betting you must pick the team or individual that is going to win the contest. In horse racing your horse does not always have to win the contest in order for you to win your bet. It all depends upon the type of bet that you have chosen to make. Win bets are those which allow you to collect only if your horse wins the contest. But there are also place bets which require that your horse only finish second or better. The show bet is one that requires your horse to finish among the top three. What you must understand is that the difficulty of the bet affects the price you will be paid when cashing your ticket. The place bet pays less than a win bet on most occasions, and the show bet will pay less than a place bet a majority of the time. There are the rare exceptions when these bets can pay prices that exceed the payout for the winning horse. There are also bets such as the exacta and trifecta which require you to pick multiple horses. Pick 3s and Pick 4s demand that you pick the winner of several races in a row. Choosing the right horse racing bet is just as important as choosing how much to bet and which horse to bet on. Choose wisely. How do you win a horse bet? EZ Horse Betting believes that the successful handicapper proceeds through a series of simple steps. They go about the process methodically and have discipline in the way they bet their selections. 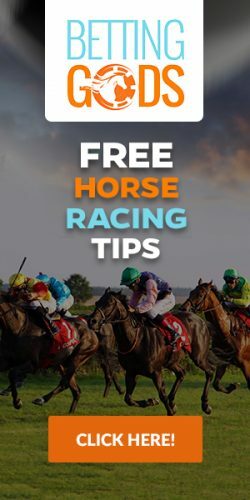 First, sign up for an online racebook. In this day and age you can bet the horses from the comfort of your own home. Online horse betting is legal in almost every jurisdiction. When you have an online racebook account you do not need to visit the track in person. You can make your wagers from a computer, smartphone, or tablet. Signing up is very easy, and there are also advantages to betting horses online. For starters, many online racebooks will be happy to give you a nice welcome bonus when you create your account and make a deposit. They will also give you access to free past performances and libraries of horse racing replays. Second, you will need to set aside a bankroll for making your horse racing bets. This money should not be used for any other purpose. It should be disposable money that is not needed elsewhere. We recommend a minimum of $50 if you plan on making $2 bets. More will be required if you want to play the exotic wagers that many racetracks offer. The next step is to perfect your handicapping skills. This means that you need to study how races are ran and the horses that compete in them. We have provided many handicapping resources for you to use in your horse race betting. These resources will help you understand different angle when making your horse racing bets. Finally, you choose the horse you want to bet on and the type of bet you want to make. You will then use your online racebook to place the wager. The rest depends on your horse racing knowledge and the racing gods. Yes, there is a certain element of horse race betting that involves luck. There is no way to evade this so the best practice is to embrace it. Racing luck has been the downfall of many bettors, but it can also swing your way. To be sure, the more you study handicapping and the harder you work at picking winners the luckier you will get. There are no shortcuts when it comes to winning a horse racing bet. Tags: How do you Win a Horse Bet?